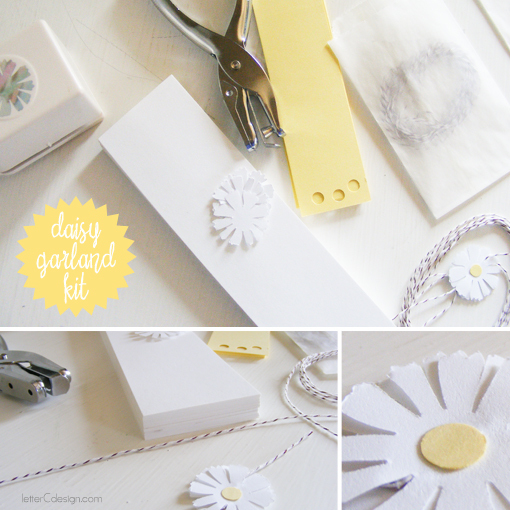 my mom was going to watch my sister’s kids last week and wanted to take a little craft to do with the girls – so i put together a simple little spring daisy kit. in some glassine bags i packaged scraps of white and yellow paper, bakers twine, a flower punch and a hole punch. i made a sample flower and sent my mother on her way. 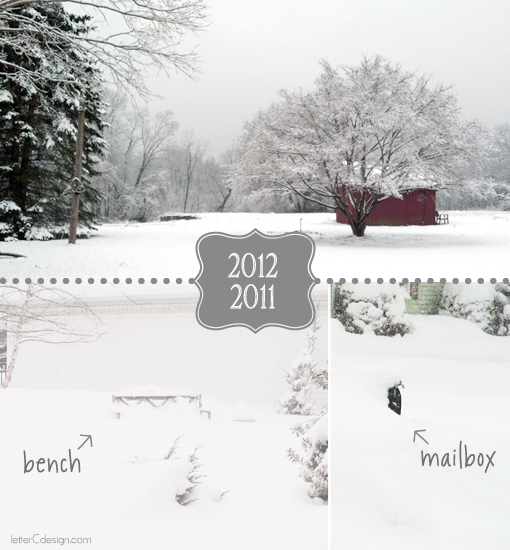 this year there has been a real lack of snow around here. but this morning there was a nice little surprise snow fall. 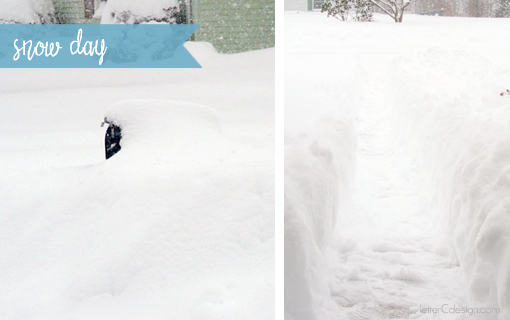 i’m sure most people are welcoming the non-snow winter after last year – where there was so much snow roofs were collapsing or the freak snow/ice storm last october that shut down the state for over a week – but i am happy that there was at least one morning of winter weather. weekends in my office are my favorite. probably because there is no pressure of having to get orders ready to mail by 5:00. or maybe because i don’t really answer email or send proofs, but work on projects that i don’t get to during the week. usually i don’t even sit at my desk, i use my laptop on my worktable in the other room – far away from printers and databases. 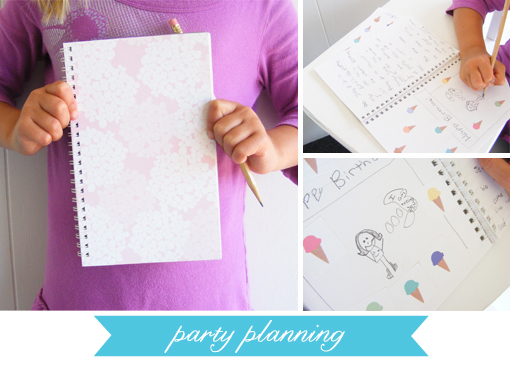 this weekend i did have to do some work for two very important clients – my nieces. they needed their valentines. they both gave very specific art direction. 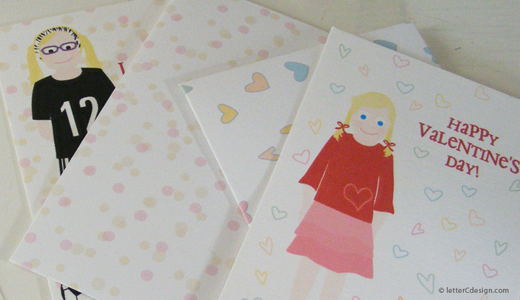 however there was a problem – was weeks ago i ran out of envelopes for my tiny valentines. 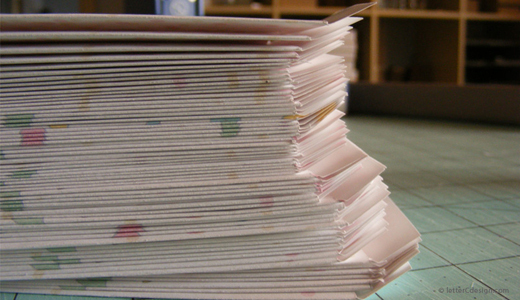 so they got something even better – handmade envelopes. 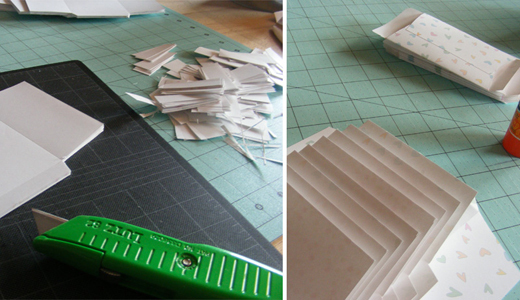 i couldn’t give them just plain white envelopes so i printed a pattern on some paper and started folding and glueing. and now they just have to had their name and some sticker hearts and they will have the perfect valentines to hand out. 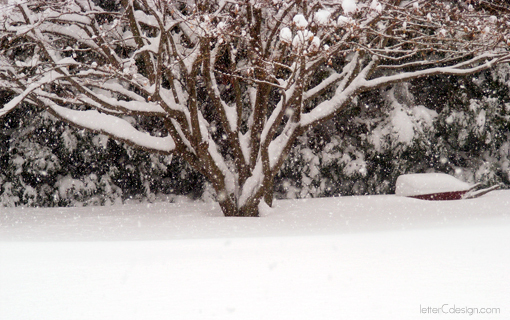 Even though I no longer go to school, I still look forward to a snow day. And today was a true snow day. It snowed all day and there must be at least 2 feet of snow outside. I didn’t have to go anywhere, so I was able to enjoy the winter wonderland with the big dog I am watching.